Villa Florencia Centro is located in a historical concept ready to offer a good service to all our guests, has 26 rooms including single, double and triple rooms. 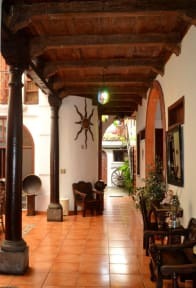 We are a Hotel with quality and pleasant atmosphere to attend tourists and business people. The Villa Florencia has a cafeteria-style restaurant. It also offers a tour desk, which can arrange airport transfers for an extra charge. A safe is available for guest use at reception. It is located near the Historic Center of the city of San Salvador, close to international bus terminals such as Port Bus, King Quality, universities, Shopping Centers and Banks. 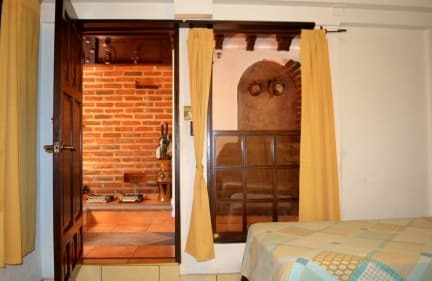 We offer well-equipped private rooms. Single Room: Fan, Private bathroom, Cable TV; Double Room: Fan, Private Bathroom, Cable TV; Triple Room: Fan, Private bathroom, Cable TV.